Israeli academia achievement: For the first time, three Israeli universities are ranked within the top 100 universities in the world. The Hebrew University of Jerusalem has risen 4 points from number 57 in 2011 to 53 in 2012, according to the Shanghai Academic Ranking. The Technion (Israel Institute of Technology) was ranked 78th, and the Weizmann Institute of Science was ranked 93rd. 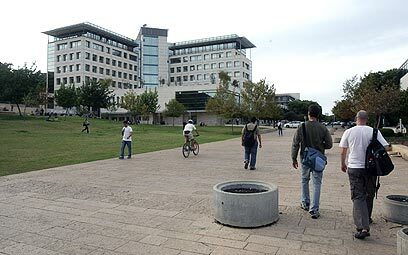 The Tel Aviv University ranked in the top 150 while the Bar Ilan University and the Ben Gurion University were both ranked in the top 400. Harvard University was ranked number one, as it was since 2003, when the Academic Ranking of World Universities (ARWU) was first published. It was followed by three other US schools – Stanford, MIT and Berkley. Coming fifth is UK's University of Cambridge. President of The Hebrew University of Jerusalem, Prof. Menachem Ben-Sasson, said, "The Hebrew University strives to be a leading research institution in Israel and the world. We aim to have the university ranked among the top universities in the world, but that depends on government support of education and research." President of the Technion, Prof. Peretz Lavie, said that "such achievements are the result of the Technion's uncompromising excellence. Staff and researchers will continue to promote Technion students." When ranked according to specific fields, Israel fares even better. In Mathematics, three universities made it to the top 100; The Hebrew University in 16th place, Tel Aviv in 30th and the Technion in the top 74. In Computer Science, four Israeli schools were ranked in the top 100. The Weizmann Institute was ranked 12th, the Technion came in 15th, the Hebrew University 27th, and Tel Aviv University - 29th. The schools in the Shanghai Jiao Tong University ranking are judged according to articles published by scientific journals, number of Nobel Prize laureates, researchers cited in 21 different subjects, and academic achievements relative to the university's size. See all talkbacks "3 Israeli universities in top 100 ranking"